In addition to being able to show and hide content using Condition Formatting, you can also use the feature to dynamically change the presentation of your view, based on data in the associated data source. 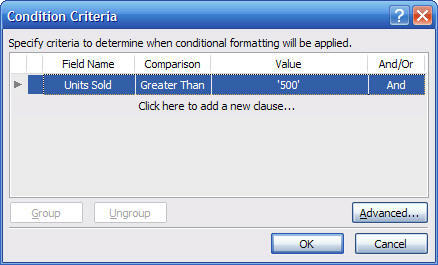 Example: for the view of the "Product Sales" list, let's say you want to highlight the background of any product who's "Units Sold" exeeds 500. 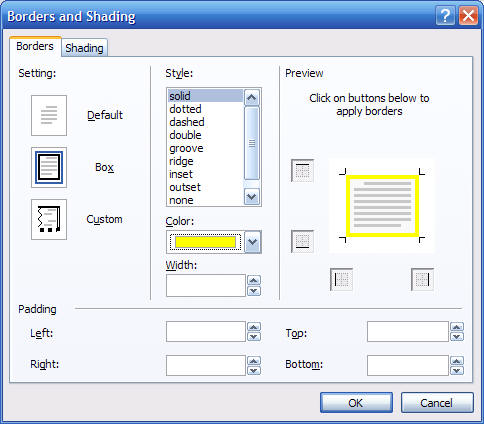 Once you have pressed ok in the "Condition Criteria" dialog, the formatting dialog will come up, allowing you to choose what formatting to apply. In this case, we want to set the background to yellow.